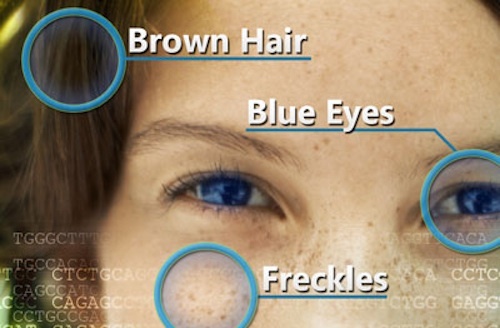 Researchers have identified a genomic variant strongly associated with sensitivity to the sun, brown hair, blue eyes — and freckles. In the study of Icelanders the researchers uncovered an intricate pathway involving the interspersed DNA sequence, or non-coding region, of a gene that is among a few dozen that are associated with human pigmentation traits. The study by an international team including researchers from the National Institutes of Health was reported in the journal Cell . It is more common to find people with ancestors from geographic locations farther from the equator, such as Iceland, who have less pigment in their skin, hair and eyes. People with reduced pigment are more sensitive to the sun, but can more easily draw upon sunlight to generate vitamin D3, a nutrient essential for healthy bones. This phenotype has been called the “Irish phenotype” as it is most common in Ireland, but is also found in Iceland and the rest of Europe. The researchers, including scientists from the National Human Genome Research Institute (NHGRI), a part of NIH, analyzed data from a genome-wide association study (GWAS) of 2,230 Icelanders. A GWAS compares hundreds of thousands of common differences across individuals’ DNA to see if any of those variants are associated with a known trait. Genes involved in skin pigmentation also have important roles in human health and disease. This study explains a complex molecular pathway that may also contribute insights into skin diseases, such as melanoma, which is caused by the interaction of genetic susceptibility with environmental factors. The GWAS led the researchers to focus on the interferon regulatory factor 4 (IRF4) gene, previously associated with immunity. IRF4 makes a protein that spurs production of interferons, proteins that fight off viruses or harmful bacteria. The researchers noted from genomic databases that the IRF4 gene is expressed at high levels only in lymphocytes, a type of white blood cell important in the immune system, and in melanocytes, specialized skin cells that make the pigment melanin. The new study established an association between the IRF4 gene and the pigmentation trait. The Icelandic GWAS yielded millions of variants among individuals in the study. The researchers narrowed their study to 16,280 variants located in the region around the IRF4 gene. Next, they used an automated fine-mapping process to explore the set of variants in IRF4 in 95,085 people from Iceland. A SNP chip from deCODE Genetics used in the automated process enables a large number of variants to be included in the analysis. SNPs are DNA sequence variations that occur when a single nucleotide — Adenine, Thymine, Cytosine and Guanine — in the genome is changed. 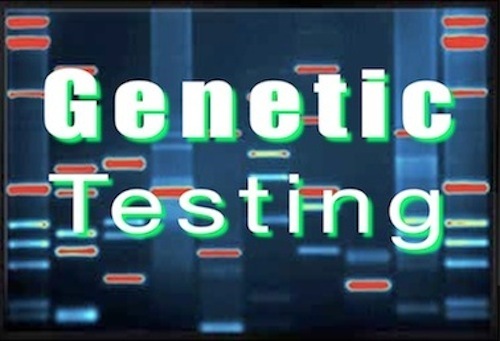 These small variations in DNA sequence make up almost 90% of all human genetic variation. The data revealed that a variant in a non-coding, enhancer region that regulates the IRF4 gene is associated with the combined trait of sunlight sensitivity, brown hair, blue eyes and freckles. The finding places IRF4 among more than 30 genes now associated with pigmentation, including a gene variant previously found in people with freckles and red hair. Part of the research team, including the NHGRI co-authors, studied the IRF4’s role in the pigment-related regulatory pathway. They demonstrated through cell-culture studies and tests in mice and zebrafish that two transcription factors — proteins that turn genes on or off — interact in the gene pathway with IRF4, ultimately activating expression of an enzyme called tyrosinase. One of the pathway transcription factors, MITF, is known as the melanocyte master regulator. It activates expression of IRF4, but only in the presence of the TFAP2A transcription factor. A greater expression of tyrosinase yields a higher production of the pigment melanin in melanocytes. This non-coding sequence harboring the variant displayed many hallmarks of having a function and being involved in gene regulation within melanocyte populations. The newly discovered variant acts like a dimmer switch. When the switch in the IRF4 enhancer is in the on position, ample pigment is made. Melanin pigment gets transferred from melanocytes to keratinocytes, a type of skin cell near the surface of the skin, and protects the skin from UV radiation in sunlight. 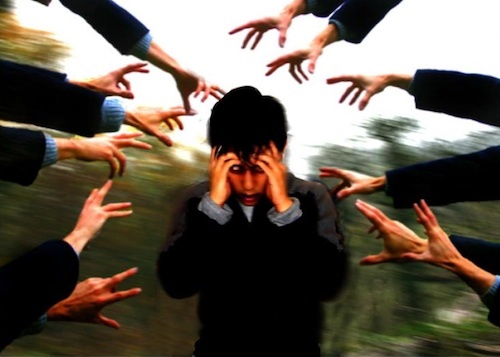 If the switch is turned down, as is the case when it contains the discovered variant, the pathway is less effective, resulting in reduced expression of tyrosinase and melanin production. The exact mechanism that generates freckling is not yet known, but Dr. Pavan suggests that epigenetic variation — a layer of instructions in addition to sequence variation — may play a role in the freckling trait. More research is needed to determine the mechanism by which IRF4 is involved in how melanocytes respond to UV damage, which can induce freckling and is linked to melanoma, the type of skin cancer associated with the highest mortality. Praetorius et al. A Polymorphism in IRF4 Affects Human Pigmentation through a Tyrosinase-Dependent MITF/TFAP2A Pathway. Cell. 2013. NIH Newsbot keeps you up-to-date with the latest research news from the National Institutes of Health (NIH).